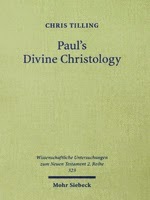 Chris Tilling’s important book Paul’s Divine Christology has been published in America by Eerdmans. I paid nearly $100 for it 2 years ago. Now you can get it on Amazon or through Eerdman’s for $25 or so. I recommend it highly if you have interest in how early Christians thought about and assessed the significance of Jesus. Here are excerpts from an earlier post that laid out the thesis of the book. 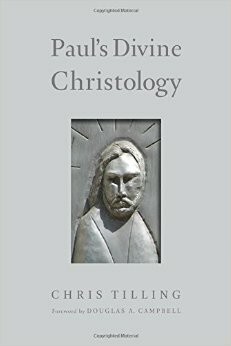 About 18 months ago I purchased a copy of Chris Tilling’s book Paul’s Divine Christology (WUNT 2.323; Tuebingen: Mohr Siebeck, 2012). Because I was busy writing and traveling, I had not had a chance to do anything more than browse it. This summer I’ve had a chance to sit down with mechanical pencil and highlighter in hand. Chris is part of a new generation of scholars interested in the historical development of early Christianity. 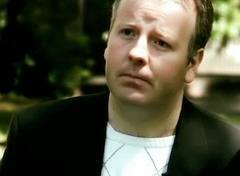 Born in 1975, Chris studied at the University of St. Andrews and completed his PhD at the London School of Theology. Although I don’t know exactly where he is teaching now, he has served as a tutor in New Testament at St. Mellitus College in London. I don’t intend to do a full review of the book here but simply to alert you to a book which I—and many others—regard as an important contribution to the field. I’ll engage him more fully in a new book I’m working on tentatively entitled An Early High Christology: Paul, Jesus, and the Scriptures of Israel. That one, God willing, will be published in 2017. Paul’s Divine Christology is Tilling’s contribution to a debate which has been going on over the last 30 years regarding whether Paul’s Christology can properly be described as “divine,” in what sense, and how it came to be. Tilling answers the question in the affirmative: Paul’s Christology is indeed a divine Christology. Other scholars (Gordon Fee, Larry Hurtado, Richard Bauckham, and I) have been arguing a similar point. Assuming the work of others on this topic (Cullmann, Hengel, and Moule, for example), each of us has offered something unique to the discussion. Tilling does a good job in setting the table, working through the primary and secondary sources, and offering a new pattern of data which had been noticed (by C. F. D. Moule) but not fully described. In brief, I think Tilling is on to something important which scholars have noticed but frankly neglected. I wrote the article “Christology” for Oxford Bibliography On-line. When I revise the article—which I have been asked to do recently—I will be sure to include Tilling’s book. It is one of the most important books on Paul’s Christology written in the last few decades. If you’re interested in these matters, go out and buy your own copy of Tilling’s book. If that is not possible, borrow a copy from your local library. Even if the library does not have it, most will have some sort of interlibrary loan program. By David B. Capes in Uncategorized on July 4, 2015 . Thanks Dr. Capes for the recommendation. I’ve known about this book for a while now, but with your glowing review it looks like I need to get a copy!